Cooked potatoes, with a small amount of milk added, that have been mashed to a smooth fluffy consistency. 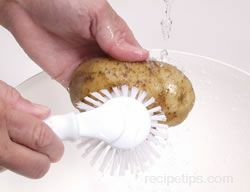 Some prefer to cook whole potatoes with their skins on and peel them after cooking, others prefer to cut the potato into sections to cook them with the skins on, while some believe their potatoes cook better by peeling and cutting the potatoes first before cooking. All procedures appear to work equally well for producing light and fluffy-textured results. 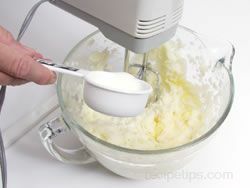 After the potatoes are cooked, they are mashed with a ricer, either a hand potato masher or with an electric beater. 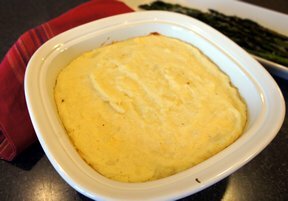 Mashed potatoes can have garlic, onions, herbs, spices, and or cheese added to give them a distinct flavor. 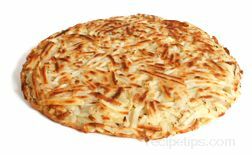 They are then generally served as a side dish along with gravy, sauce or butter on top. Puréed potatoes are often made as a version of mashed potatoes. 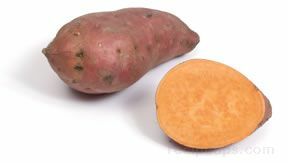 Several of the best potatoes to be mashed are the russet or the Idaho. 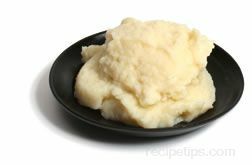 Allow 1/2 pound of raw, whole potatoes per person when preparing mashed potatoes.